The very first Web page ever, was posted on the world’s first Web server at around Christmas, 1990 by the Web’s creator, Tim Berners-Lee. 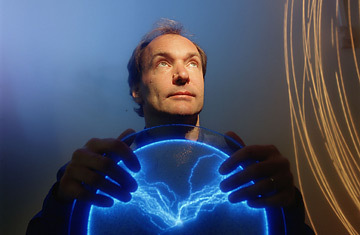 He also created the world’s first Web browser (designed to run on the NeXTStep operating system). By 1993 he had already created an interface not that much different than what we expect to see today. But today, Tim Berners-Lee is concerned about the possible death of the Internet as we know it. David Cooper reports that there are three major threats outlined in Berners-Lee’s essay which appeared in a recent issue of Scientific American entitled, Long Live the Web: A Call for Continued Open Standards and Neutrality.